When in Cairns, make a side trip to see Hartley's Crocodile Adventures in Palm Cove, approximately 44 minutes away. Spend the 2nd (Sat) among aquatic life with a scuba or snorkeling tour. There's much more to do: stroll through Esplanade Boardwalk, see the world from above with a helicopter tour, pause for some serene contemplation at St Monica's Cathedral, and enjoy some diversion at Esplanade Lagoon Pool. For where to stay, ratings, photos, and more tourist information, you can read our Cairns road trip app . Melbourne to Cairns is an approximately 6-hour flight. You can also drive; or take a train. When traveling from Melbourne in November, plan for somewhat warmer days in Cairns, with highs around 36°C, while nights are much hotter with lows around 26°C. Finish your sightseeing early on the 4th (Mon) to allow enough time to travel to Darwin. On the 5th (Tue), examine the collection at Defence of Darwin Experience, examine the collection at Museum & Art Gallery of the Northern Territory, and then enjoy the sand and surf at Mindil Beach. Keep things going the next day: get a dose of the wild on a nature and wildlife tour. For ratings, photos, and tourist information, use the Darwin trip itinerary app . Fly from Cairns to Darwin in 4.5 hours. Alternatively, you can drive; or take a bus. Expect a daytime high around 39°C in November, and nighttime lows around 28°C. Wrap up your sightseeing on the 6th (Wed) to allow time to travel to Litchfield National Park. On the 7th (Thu), admire the sheer force of Florence Falls, then take in the dramatic natural features at Magnetic Termite Mounds, then take an unforgettable tour with a helicopter tour, and finally admire the sheer force of Tolmer Falls. 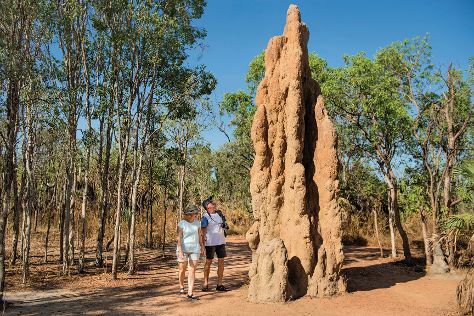 To see where to stay, ratings, more things to do, and tourist information, read our Litchfield National Park trip planner . Explore your travel options from Darwin to Litchfield National Park with the Route module. Expect a daytime high around 39°C in November, and nighttime lows around 29°C. Finish your sightseeing early on the 7th (Thu) so you can travel to Jabiru (Kakadu National Park). Jabiru is a town in the Northern Territory of Australia. Spend the 10th (Sun) exploring nature at Jarrangbarnmi / Koolpin Gorge. There's still lots to do: explore the ancient world of Ubirr, explore the striking landscape at Maguk Gorge, look for all kinds of wild species at Anbangbang Billabong, and steep yourself in history at Nourlangie Rock. To see maps, other places to visit, ratings, and tourist information, read Jabiru (Kakadu National Park) tour planner. Explore your travel options from Litchfield National Park to Jabiru (Kakadu National Park) with the Route module. Wrap up your sightseeing on the 10th (Sun) early enough to drive to Katherine. Katherine is a town in Northern Territory, Australia. Kick off your visit on the 11th (Mon): take in the dramatic natural features at Katherine Gorge, then get engrossed in the history at Katherine School of the Air Tourist Room, then witness a stunning natural landmark at Katherine Hot Springs, and finally wander the wide-open spaces of Katherine Outback Experience. To find traveler tips, photos, reviews, and other tourist information, read Katherine trip itinerary planner . Traveling by car from Jabiru (Kakadu National Park) to Katherine takes 4.5 hours. Alternatively, you can do a combination of bus and car. Expect a daytime high around 44°C in November, and nighttime lows around 29°C. 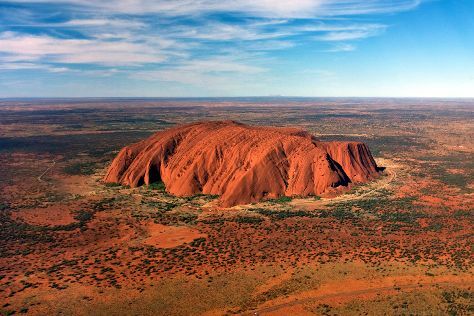 Wrap up your sightseeing on the 11th (Mon) to allow time to travel to Uluru-Kata Tjuta National Park. Uluru-Kata Tjuta National Park is known for nature, museums, outdoors, trails, and classes. Your plan includes some of its best attractions: explore the striking landscape at Uluru, get all the information you need at Uluru-Kata Tjuta Cultural Centre, take your sightseeing to a higher altitude at Kata Tjuta, and go for a walk through Lungkata Walk. For more things to do, other places to visit, where to stay, and other tourist information, read Uluru-Kata Tjuta National Park road trip planning tool . Traveling by flight from Katherine to Uluru-Kata Tjuta National Park takes 7 hours. Alternatively, you can do a combination of flight and car; or drive. Plan for little chillier nights when traveling from Katherine in November since evenings lows in Uluru-Kata Tjuta National Park dip to 22°C. Finish up your sightseeing early on the 14th (Thu) so you can travel back home.